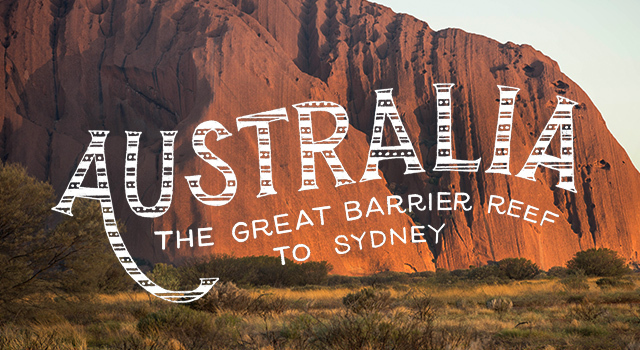 The Land Down Under offers new scenery and new adventures at every turn. 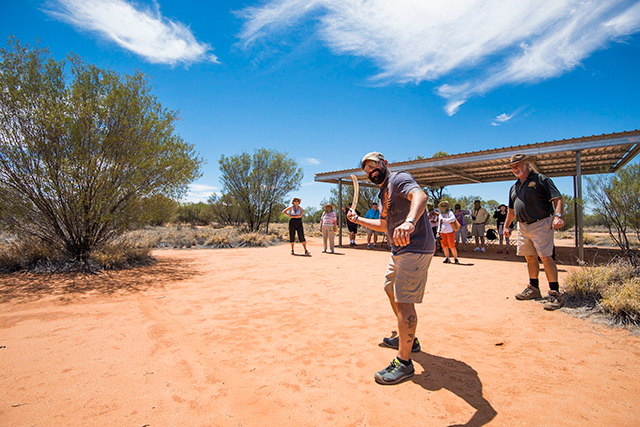 Home to one-of-a-kind wildlife, unique Aboriginal traditions, multicultural cities and a carefree Aussie spirit, this country is full of surprises. Follow along as Jimmy makes his way through remote Outback landscapes and dazzling cities on Australia: The Great Barrier Reef to Sydney. 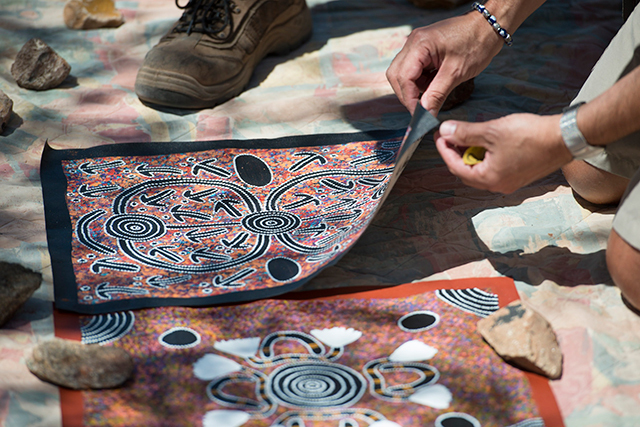 From rock art to basket weaving to dot paintings, Aboriginal art can be found in many forms. Traditional art usually mirrors the colors of the Outback: rusty browns, reds, yellows and whites. Looking to take a piece of this artistic heritage home? Seek out Aboriginal dot paintings, which often show abstract interpretations of natural scenery or narratives. The Aboriginal boomerang dates back ten thousand years. 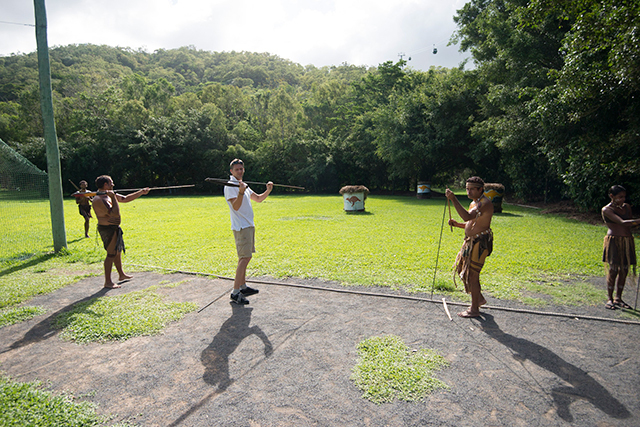 It’s not known for certain how and why the boomerang was first invented, though people believe it was derived from a flattened throwing stick that hunters used to scare birds and small animals out of hiding. Today, it’s still used for hunting purposes, as well as certain ceremonies. According to Jimmy, the hot air balloon excursion was a tour highlight. 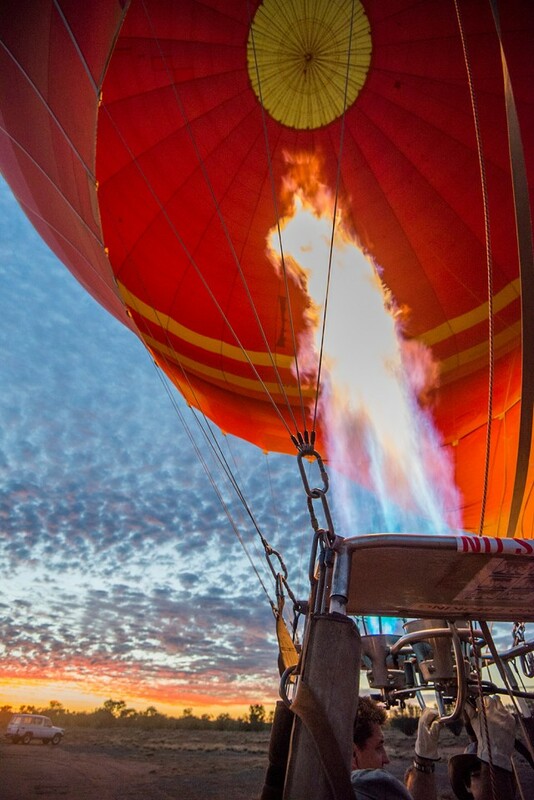 Taking off in Alice Springs, the balloon travels above the stark Outback landscapes as the sun rises. Afterward, toast to your sky-high adventure with champagne and breakfast. 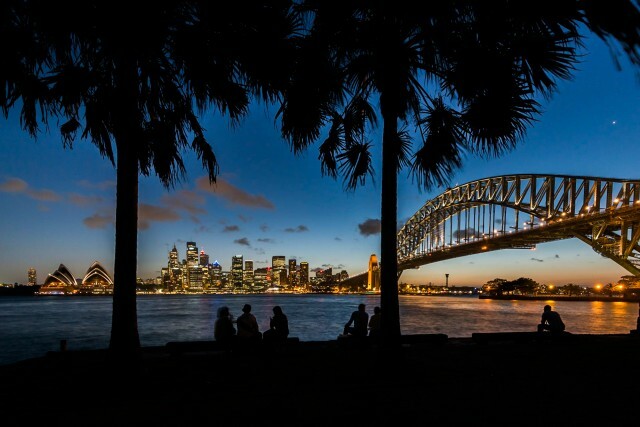 Want to learn more about Australia: The Great Barrier Reef to Sydney? See the full tour itinerary here!